It is well established that nut consumption decreases the risk of cardiovascular disease but most studies have been done in western countries on nuts like almonds, pistachios, and walnuts.The data on the health effects of cashew nuts on cardiovascular health among adults with type 2 diabetes (T2DM) is very limited. Dr.Viswanathan Mohan,acclaimed Indian diabetologist of Madras Diabetes Research Foundation (MDRF) and associates conducted a Randomized Controlled Trial to investigate the effects of cashew nut supplementation on glycemia, body weight, blood pressure, and lipid profile in Asian Indians with T2DM. 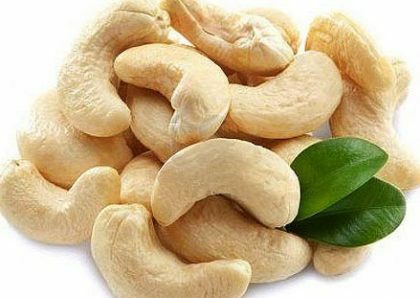 The researchers found that Cashew nut supplementation in Asian Indians with T2DM reduced systolic blood pressure and increased HDL cholesterol concentrations with no deleterious effects on body weight, glycemia, or other lipid variables.The findings of the study have been published in The Journal of Nutrition. A parallel-arm, randomized controlled trial lasting twelve-weeks involved giving 30 g of raw cashew nuts daily to the experimental group participants comprising of 300 adults with T2DM. The control group was advised to continue their usual diet. Both groups were well-matched at baseline. The results were encouraging because after 12 weeks, there was a significant decrease in the systolic blood pressure in the group that consumed cashew nuts.Also there was a significant increase in the good cholesterol or the HDL cholesterol levels in this group. There was no deleterious effect of cashew nut consumption on body weight, blood sugars, glycated hemoglobin, or LDL cholesterol . The macronutrient composition of the prescribed diabetic diet was 60–65% energy from carbohydrates, 15–25% from fat, and the rest from protein. Differences between groups in changes in anthropometric and biochemical variables were analyzed using linear models with robust variance estimation under an assumed independence working correlation. Participants in the intervention group had a greater decrease in systolic blood pressure from baseline to 12 wk than did controls (–4.9 ± 13.7 compared with –1.7 ± 11.6 mm Hg; P = 0.04) and a greater increase in plasma HDL cholesterol compared with controls (+1.7 ± 5.6 compared with +0.1 ± 4.6 mg/dL; P = 0.01). There were no differences between the groups with respect to changes in body weight, BMI, blood lipid, and glycemic variables. Plasma oleic acid concentrations and self-reported dietary intake of nuts, oleic acid, and monounsaturated fatty acids suggested excellent compliance with the nut consumption. The researchers concluded that Cashew nut supplementation in Asian Indians with T2DM reduced systolic blood pressure and increased HDL cholesterol concentrations with no deleterious effects on body weight, glycemia, or other lipid variables.The researchers have pointed out that the study was done using raw cashew nuts. The beneficial effects of cashew may be mitigated if the cashew nut is salted or roasted in unhealthy oils or ghee.